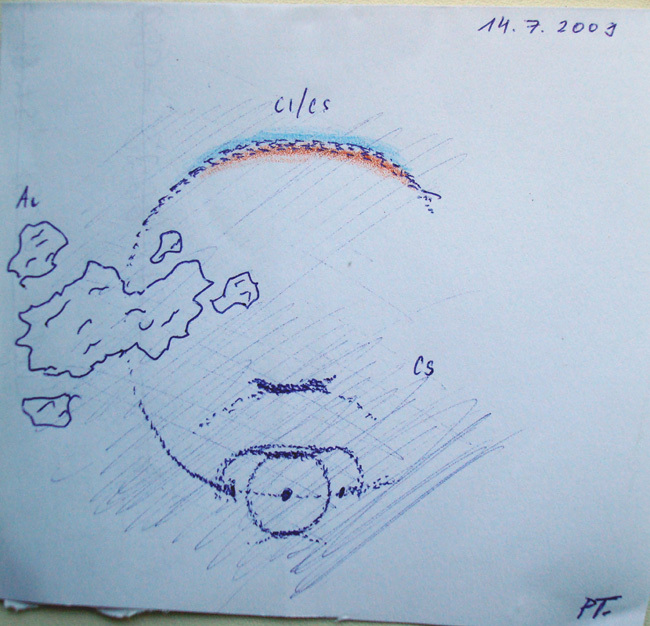 On 14 July Patrik Trncak from the Czech Republic observed a display with a coloured parhelic circle ( 1 ). 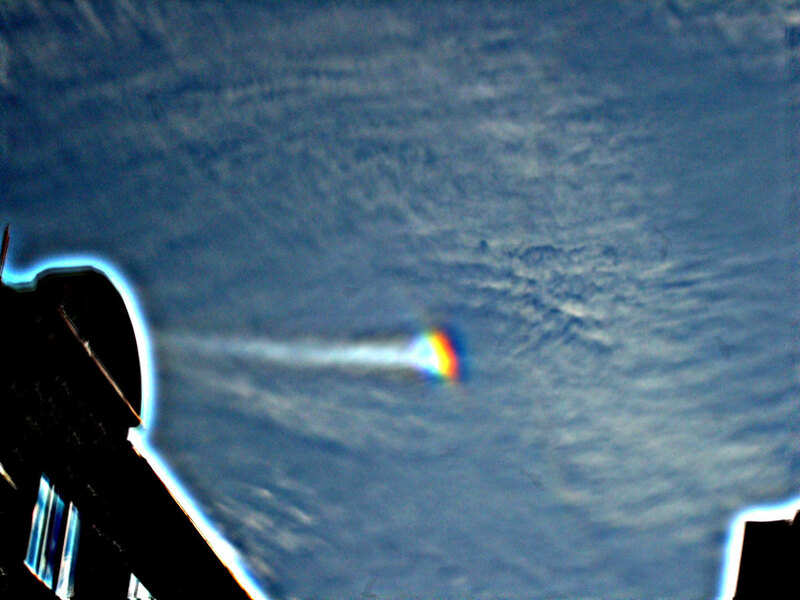 The spectral colours were visible opposite the sun. Besides the more usual halos, the display also showed possible Lowitz arcs ( 2 - 3 ). Interesting observation and even the photo seems to show some of the colors. At about sun elevation of 30-32 degs blue spot appears as long colored area opposite to the sun. But this does not seems like a blue spot. Very strange indeed, I remember reading about the colored PHC in the Sivaurinko column somewhere and now that I think about it I saw those colors in PHC few years ago before I started to carry a camera. Finns may have seen couple of cases with some coloring. Don't remember now. And there is one historical observation of spectrally colored parhelic circle, Marko Pekkola may know that case. This is very interesting. 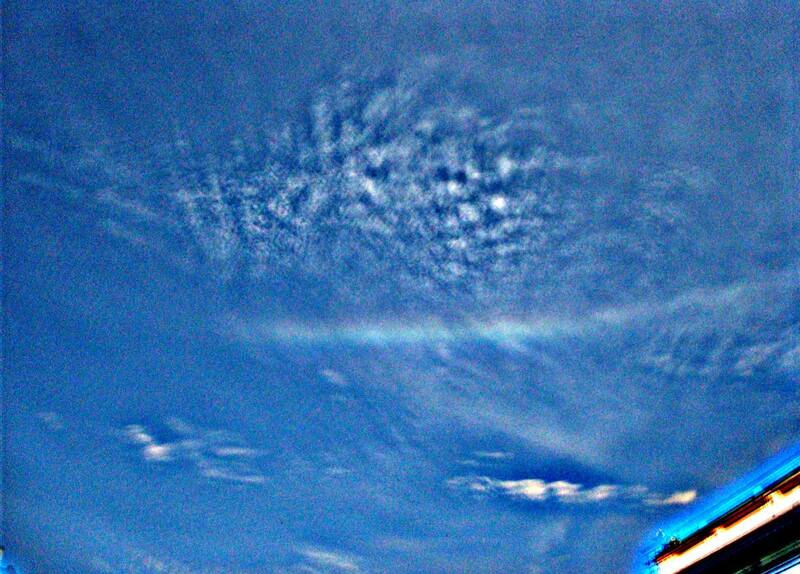 Even the very best diamond dust parhelic circles that I have seen have shown no colors. Maybe we should pay more attention. Halos have this tendency to become less rare once we know what to look for. Youtube has a couple of very good videos showing the blue spot on parhelic circle. Well worth to check out ! Yeah I saw that one that was taken in Sexsmith canada that shows those blue spots and there is also Kern arc extending from CZA and theres also wegener, subhelic, tricker, diffuse and other arcs in that display. Do you guys have a link to this video? I tried to find it but no luck. Sometimes the search part is tricky in Youtube. I belive Michael refers on this particular video taken in Sexsmith. Imho the Kern arc in this video is questionable. As you can see both videos shows the same display, shot by different persons. Btw: I recall an interesting post "Blue spot gets more colors" in an old Halo reports site. I don't know who is the original author of this article but the simulations are made with a software by Jukka Ruoskanen. This is worth reading anyway nevertheless the fact that we are dealing here with a large section of coloured parhelic circle and not with the possible extra colours in the blue spot. I wrote that. Now there is name. Well, those videos were nothing short of staggering! I'm not sure about the Kern interpretation either - I wish whoever shot the clip would have included that area of the sky. Seems like Sexsmith is a bit of a halo hotspot. Actually I can see it too but the video has poor quality and not covering whole the zenith area so it's hard to say what it is. I'd like to see the original one.